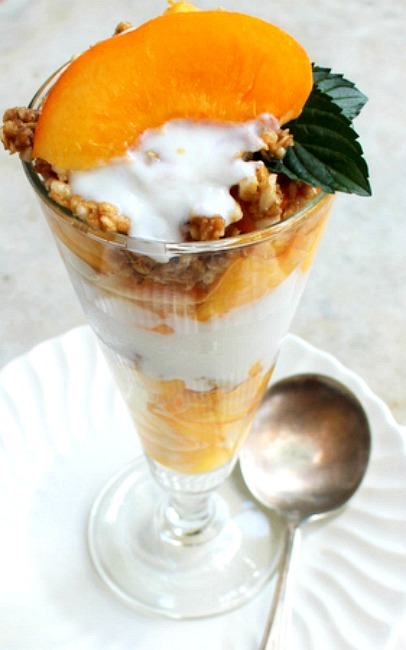 Fresh Peach Granola and Yogurt Parfait! This is my kind of breakfast or snack! 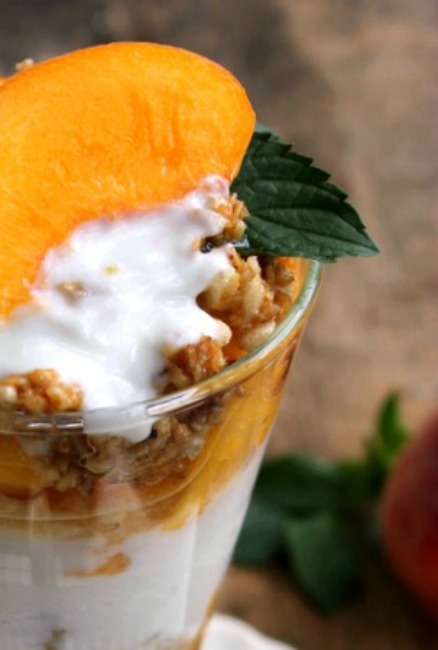 Fresh juicy ripe peaches laying on a bed of vanilla low fat yogurt and topped with crunchy granola. Texture…layers of wonderful texture to make your mouth happy! Adding fresh raspberries or blueberries to the peach layer will just make it that much better. Enjoy! 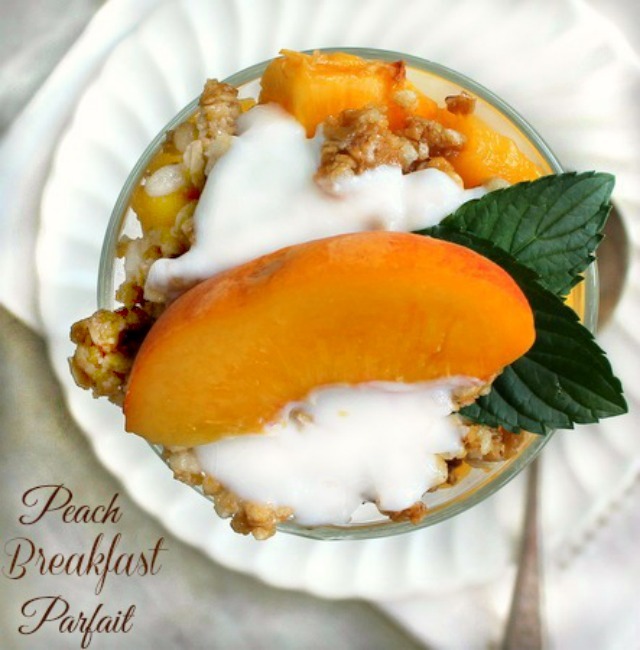 Yogurt ,fresh Peaches and granola make a delicious breakfast parfait or snack! Garnish with peach wedge or berries of your choice if desired. 1. Divide one Six ounce container of yogurt among the 4 dessert glasses. Top with half the granola. Divide the cubed peaches among the dessert glasses, top with remaining six ounce container of yogurt and remaining granola. garnish as desired. Mary I had to laugh when you posted you made something healthy! This does look so good! Patty thank you! Well you know me..SUGAR SUGAR SUGAR! LOL!! Up off the floor and pinning! Yea for healthy! Oh my gosh this looks amazing! Love it! PEACHES make everything taste good. Yum!! !